We are so excited to share the news that our family is growing by 2! 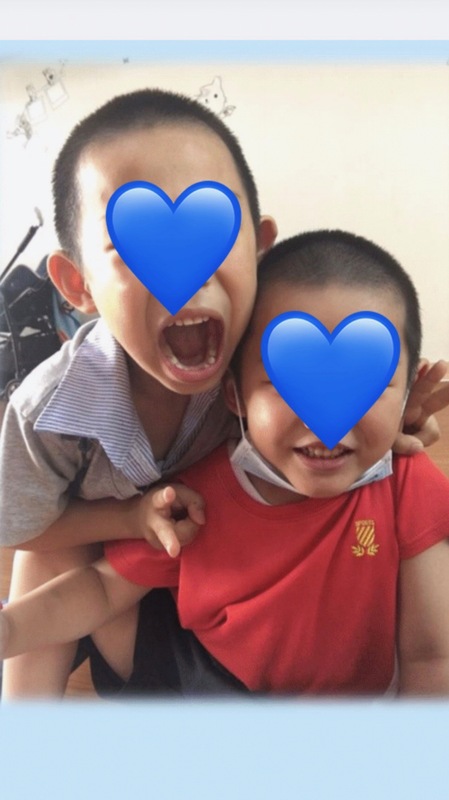 Our hearts are exploding that we have been chosen to be the family to 2 precious boys.Tzu Yang is a 7 year old boy from Taiwan and has a 6 year old brother, Tzu Yen. We were matched with Tzu Yang and were blessed to host him for 2 weeks in July. We fell in love and it broke our heart that he had to return to an orphanage. Can you imagine how brave and how strong his desire to have a family is? As a 7 year old, he was willing to fly around the world and stay with strangers who speak a different language. Can you imagine? These boys yearn for a forever family! Our heart breaks for them and we immediately started pursuing adoption. Tzu Yang is joyful, compassionate, respectful, hilarious, (like Chad kind of funny) and he is love! Tzu Yen sounds like a boy version of Reese. He likes art, is laid back and takes care of his older brother. We can’t wait to get them home. Grey and Reese are just as excited as we are. They pray for their new brothers and reminisce of the 2 weeks we had with Tzu Yang. Their hearts are wide open and its great to see God has given them the ability to welcome these boys into our family. We are thankful for the events God orchestrated to lead us to adoption. First, Tiffany worked with orphans while on a mission trip in Ethiopia. Then God moved us to Nashville and surrounded us with adopted children. Next we joined The Bridge Church and there are now up to 70 adopted kids in the kid’s ministry on any given Sunday. We also took a family mission trip to Haiti to love on orphans. God pursued all four of us through these experiences and prepared our hearts. God adopted us into His family (Romans 8:15) and called us to care for orphans (James 1:27). We have been awarded an $8,000 matching grant from The Bridge Church Adoption Fund, administered by Lifesong for Orphans. We are very thankful to have them come beside us in this journey. We thank you for your prayers, love and support of our growing family. If you feel led to contribute to this grant, you will be part of their story. As we wait on the legal tape, we take a deep breath and work diligently to get them home. 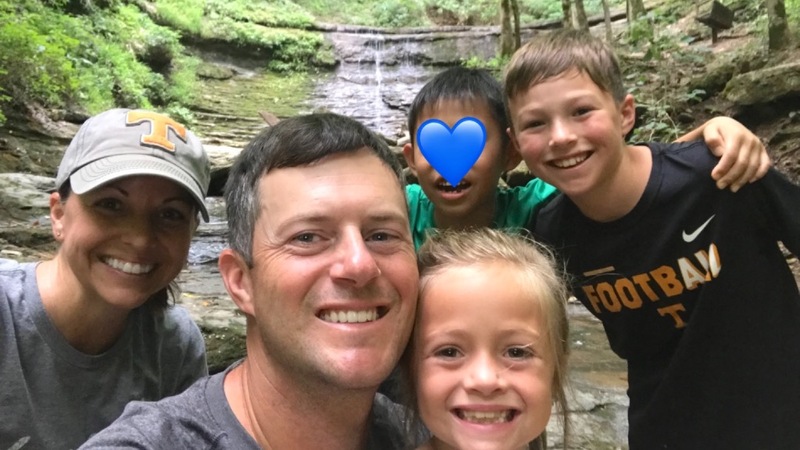 We know it takes a tribe to raise children and it will take a tribe to bring these boys home. We would be honored if you would be part of their tribe! STRIPE charges an online processing fee (2.2% +.30 USD per transaction). Your donations will be decreased by this amount. You may also send a check payable to “Lifesong for Orphans”. In the memo line please write “Anderson 8128”, to ensure it is credited to our account. Please mail to Lifesong for Orphans, PO Box 40, Gridley, IL 61744. I wanted to share 2 updates today. First, we have prayed boldly that the 12-18 month process would be quicker. We would love to have the boys home this summer to spend time with them before school starts. We trust God’s timing is perfect, but we want them here sooner than 12-18 months (which would be August, 2019 to January, 2020). We received word this week that our Dossier paperwork is on it’s way from Taiwan!! That is big because before Christmas they thought it would be towards the end of February before we received it. It’s not a guarantee that the process is speeding up, but that is 6 weeks sooner than originally thought. Join us in praying for a quick process! Second, God has provided so much support already! It is amazing to see how God works through others and we love hearing why people have given to bring these two brothers home. We are blown away from the support and we are very thankful. We have been on the giving and supporting end before and it is a joy to partner with different causes. Some of those causes (like going to Haiti) have formed who we are and will stick with us forever. I can’t wait to hear more stories of how God is working in others and sharing the adoption story. We will try to keep everyone up to date with periodical posts here. We thank you for your prayers.